There is still significant debate within the U.S. government and among members of the national security establishment over the level of threat posed by Iran's growing presence and the increasing presence of Hezbollah that this presence brings. So the arrest of a suspected Hezbollah fundraiser with an outstanding US arrest warrant in the Tri-border area is another important indicator of just how deep this relationship has now become. Moussa Hamdan is the latest in a long line of suspected Hezbollah financiers who have been arrested in and around Ciudad del Este, the main hub of the Tri-border (where the borders of Brazil, Argentina and Paraguay meet near Iguazu Falls) region. U.S., European and Latin American investigations have traced tens of millions of dollars from the region back to Hezbollah in Lebanon, using the formal and informal money remittance systems. Hezbollah operatives in the 1994 AMIA bombing in Buenos Aires have been documented as having used Ciudad del Este as their base while planning their attack on a Jewish target, operating under orders from Iran. The Tri-border has historically been a smuggling and black market center for the Southern Cone of Latin America, generating hundreds of millions of dollars in illicit profits. That is not new. What changed over the past 15 years is the importance of the region as a financial hub for terrorist groups, from Hezbollah to the FARC in Colombia to Hamas. So Hezbollah and other terrorist groups have an expanded playing field. Venezuela is friendly territory, Ecuador is hospitable and the Tri-Border network gives them access to Brazil, Argentina and Paraguay, none of which want to acknowledge there is a problem. The key factor in looking at this expanding territory is the expanding networks that develop among groups operating there, and their ability to cross pollinate and help each other logistically and financially. It also creates new areas in which to move illicit goods, and those goods are likely not to simply be cocaine and knock off watches. There is another little tidbit pointed out by a blog reader that goes to the network aspects. It turns out that Dror Feiler, an outspoken Swedish-Israeli musician who was a main organizer of the flotilla to Gaza, is also on the editorial board of ANNCOL (Agencia de Noticias Nueva Colombia or New Colombia News Agency), a key part of the FARC's external propaganda machine. Does that prove Mr. Feiler is a FARC member or a terrorist? No. But it does prove that these networks overlap and occupy key players in strategic locations. And that is what makes them dangerous. It has been an unprecedented week of drug busts and designations designed to slow the criminal-terrorist nexus in Africa, mostly through cocaine supplied by the FARC in Colombia through air shipments originating in Venezuela. We have, in the past day, seen a major cocaine ring linked to the FARC in Liberia dismantled, the son of (now dead) dictator Lansana Conte designated a drug kingpin in Guinea (Conakry), and the designation of a major drug kingpin in Mozambique. As noted by Main Justice, linked above and including a link to the indictment, the son of Liberian president Ellen Johnson Sirleaf wore a wire for the DEA while pretending to accept bribes for a shipment worth hundreds of millions of dollars. Fombah Tea Sirleaf, the son or step son of the president, is the head of Liberia's National Security Agency, and participated in "Operation Relentless." According to the indictment unsealed yesterday, a Nigerian was coordinating two shipments (one of 4,000 kilos and one of 1,500 kilos) on two different aircraft departing from Venezuela. A Colombian, a Ghanaian and a Russian all played roles. The shipment originated with the FARC in Colombia. That is about as good as summary as one could want of the current state of alliances in the Latin American-West African drug nexus. The FARC to its state sponsor in Hugo Chávez in Venezuela, to the long-standing Nigerian network in West Africa, through a weak and highly corruptible state (Liberia). The traffickers must have been shocked to find an official in Liberia who actually did not take a bribe. Heroes are few and far between in the war on drug corruption, but there were some in this battle. West Africa is an increasingly important life line for the FARC, Chávez and their allies. Without sanctuary in Venezuela and the ability to move and sell large loads in relatively unguarded regions of the world, the FARC would be a spent force. But the cash influxes allow the terrorist group of kidnappers and thugs, to continue to function and inflict pain not just in Colombia but across the region. At the same time, Treasury's OFAC division has been ratcheting up it designations in Africa to freeze some of the drug proceeds. Ousmane Conte, the son of Lansana Conte, is already in jail and has admitted to significant drug trafficking, now he assets in the U.S. can be frozen. Similarly, Mozambican heroin kingpin Mohamed Bachir Suleman, owner of a major shopping centers and other businesses, was designated. 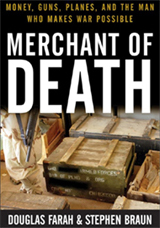 "Mohamed Bachir Suleman is a large-scale narcotics trafficker in Mozambique, and his network contributes to the growing trend of narcotics trafficking and related money laundering across southern Africa," said OFAC Director Adam J. Szubin. The resources dedicated to these operations shows how far up the chain of priorities this trafficking pipeline has become, and how important it is to terrorist networks in our hemisphere. A few good battles won, but the war is far from over. I have not had time to write much recently, but two recent events point to the increasingly overt ties between the Chávez government and international terrorist organizations. The first, Chávez's help bring the FARC in Colombia and the Spanish ETA together,, I already discussed at some length here. New revelations are now being published about Chávez's direct (although repeatedly denied) ties to Hezbollah and other radical Islamist groups. A new book, "El Palestino," by Spanish journalist Antonio Salas documents armed camps in Venezuela where the FARC, Hezbollah, ETA and others all train together. In the book, which comes out later this week, the author says he posed as a Venezuelan Palestinian interested in jihad and ended up traveling around the world after fabricating a new identity. His employer, Antena 3 of Spain, has released some of the hidden camera video he shot to verify his experience. According to the book's publicity, "It was in Venezuela that he received his baptism of fire. He found that just around the city of Caracas there are six terrorist training camps. There he learned to shoot every kind of weapon. His time there coincided with the training of members of the FARC, ETA and other groups." There have long been reports of these camps from credible sources, but video and direct, publicly available documentation and first hand experience has not been. This is in keeping with Chávez's broader goals of creating an alliance of state and non-state actors to wage asymmetrical warfare against the United States. It is, quite likely, the worst of all worlds for the rest of Latin America, and beginnings of the solidifying joint venture that will eventually pose and existential threat to the United States. Both Chávez, with the FARC, and Iran with its Hezbollah proxy, have the same goal in this endeavor. Each of the proxies has relevant experience and resources the other does not, and both have a long history of adaptation and co-learning from other terrorist groups, regardless of political/theological differences. Chávez has also made no secret of his desire to spread armed revolution across Latin America to rid the continent of non-Bolivarian governments, or transform the governments to the Bolivarian way. Hence his support, through the Movimiento Bolivariano Continental, (Continental Bolivarian Movement), to the FARC, the Tupac Amaro movement in Peru, the Mapuches and MIR in Chile, etc. etc. This support is likely to increase as Chávez's internal situation deteriorates. With the highest homicide rate in the hemisphere, water and electrical rationing, inflation running at more than 30 percent and his popularity in a steady decline, he is likely to be desperate for anything that can give him a boost. Iran, Cuba, Bolivia, Nicaragua and Ecuador have enormous stakes in Chávez's survival, no matter what the cost. So one can expect the region to be roiled by something he cooks up to fabricate a crisis. The U.S. response so far has been muted to Chávez and his lethal alliances. There are no good options for a response, but it is increasingly clear that the day of reckoning is drawing near. The recent unclassified Pentagon assessment of Iran's military power released last month to Congress shows official reporting is finally catching up to reality on the ground in regard to Iran's Latin American activities. The increase comes at a time of deep economic troubles for the Chávez government in Venezuela, as noted by the Hudson Institute's Jaime Daremblum. It is also only the most public looks at how Venezuela and Iran are enhancing their military partnerships, particularly in field of asymmetrical warfare where both states are hoping to use their non-state proxies to take on the "Empire," meaning the United States. For a range of views on this, see my chapter and others in Woodrow Wilson Center publication Iran in Latin America: Threat or Axis of Annoyance? The assessment contains several interesting nuggets, including that Iran's highest priority is the survival of the regime, and hence its fixation with asymmetrical warfare and its outreach to groups that oppose U.S. interests. This includes the Boliviarian states of Latin America. (For those who read Spanish, I have an article in the most recent Poder magazine on some of these issues). The DOD assessment does not discuss Iran's blossoming financial network across the region. Diplomacy, economic leverage, soft power and active sponsorship of terrorist and paramilitary groups are tools Iran uses to drive its aggressive foreign policy. In particular, it uses terrorism to pressure or intimidate other countries and more broadly to leverage its strategic deterrent. The Iran regime uses the Islamic Revolutionary Guard Corps - Qods Force (IRGC-QF) to clandestinely exert military, political, and economic power to advance Iranian national interests abroad. The IRGC-QF global activities include: gathering tactical intelligence; conducting covert diplomacy; providing training, arms and financial support to surrogate groups and terrorist organizations; and facilitating some of Iran's provision of humanitarian and economic support to Islamic causes. Support for extremists takes the form of providing arms, funding and paramilitary training. In this, IRGC-QF is not constrained by ideology; many of the groups it supports do not share, and sometimes openly oppose, Iranian revolutionary principles but Iran supports them because they share common interests or enemies. Yes, all of this is to lay the groundwork for understanding Iran's relationship to Chávez and other Bolivarians, because there is little else in common between Socialism for the 21st Century and a reactionary Islamist theocracy. IRGC-QF maintains operational capabilities around the world. It is well established in the Middle East and North Africa, and recent years have witnessed an increased presence in Latin America, particularly Venezuela. If U.S. involvement in conflicts in these regions deepens, contact with IRGC-QF, directly or through extremist groups it supports, will be more frequent and consequential. That is the scenario we are facing in Latin America. And it is a dangerous and unpleasant picture. NOTE: My blog has been down several days due to an electrical outage where the server is hosted. Now back up and running. Thanks for your patience. Mark Hosenball at Newsweek, being one of the few reporters left in the business who has any idea who Nada is and why he is important,wrote a good summary of the issue, including the fact that the U.S. had to sign off on the action at some level. Despite the sign-off at the UN, Nada remains a designated individual on the U.S. sanctions list. Who knows for how long? Nada was a seminal figure in the international MB movement, and his Bank al Taqwa, in the Bahamas, was one of the financial centers for Hamas (and, according to U.S. public statements at the time, al Qaeda), before being shut down. He has appeared in numerous important roles trying to bridge the Sunni-Shiite divide in the Muslim world, befriending Khomeini in Iran, Saddam in Iraq (and unsuccessfully working to broker a peace deal in the Iran-Iraq war), and has identified himself as the Muslim Brotherhood's foreign minister. There is much more, but one will have to read Hosenball, Isikoff and my older stuff about that. So far the MB is winning every battle and rapidly recapturing the ground lost in the dark days after 9/11, when their role in radicalization and financing of radical Islam was recognized and confronted, at least briefly. The Global Muslim Brotherhood Daily Report has found that the International Islamic Relief Organization (IIRO), the Saudi charity whose Philippine and Indonesian offices have been designated as terrorist entities by the U.S. Treasury Department, has reopened a U.S. office, this time in Florida. letterhead among numerous Al-Qaida documents recovered in Bosnia-Herzegovina. The letter, dating from the late 1980s, summarized a meeting held between Al-Qaida leaders and representatives of Muslim charitable organizations in which the attendees ultimately agreed to launch “attacks” from MWL offices in Pakistan. Saudi Arabia. I am an employee of that government." government (among others) has classified it as “secretly fund[ing] terrorism,” officially branding it a terrorist charity, the two testified. the Philippine and Indonesian branch offices of the Saudi-based International Islamic Relief Organization (IIRO) for facilitating fundraising for al Qaida and affiliated terrorist groups. Treasury additionally designated Abd Al Hamid Sulaiman Al-Mujil, the Executive Director of the Eastern Province Branch of IIRO in the Kingdom of Saudi Arabia. "It is particularly shameful when groups that hold themselves out as charitable or religious organizations defraud their donors and divert funds in support of violent terrorist groups," said (Stuart) Levey. "We have long been concerned about these IIRO offices; we are now taking public action to sever this link in the al Qaida network's funding chain." After appearing dormant since the 2002 raids, and its DC corporate registration revoked, the new IIRO presence in the US seems designed to preserve the organization’s ties to the Muslim World League (MWL), the IIRO’s parent organization. The registered agent for IIRO USA, is Malik Sardar Khan who listed a residential address in Miami and who also serves as IIIRO USA Secretary-Treasurer. 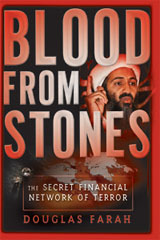 It is hard to imagine why an organization with recognized ties to terrorist organizations, and one whose U.S. branch was under serious investigation since the late 1990s (see Glenn R. Simpson, "US Had Data on Virginia Group in Terror Probe as Early as 1997, Wall Street Journal, Dec. 16, 2002, p. A4 for details), would be allowed to reopen, or that such a reopening would escape official notice. Yet, as with all things associated with the Muslim Brotherhood and its legacy organizations in this country, the official attitude has been to retreat and reach out, in the face of overwhelming evidence such tactics do no good. We knew who these groups were before, and only grudgingly took action against them. We now have forgotten who they are and seem to be unwilling to take any action whatsoever.